Our beautiful bride and her best friends are all smiles at Penn Oaks Golf Club during a fun filled day! The rich colors sum up this entire photograph. Sometimes you don't need many bells and whistles in a photo, just the right complimenting colors. 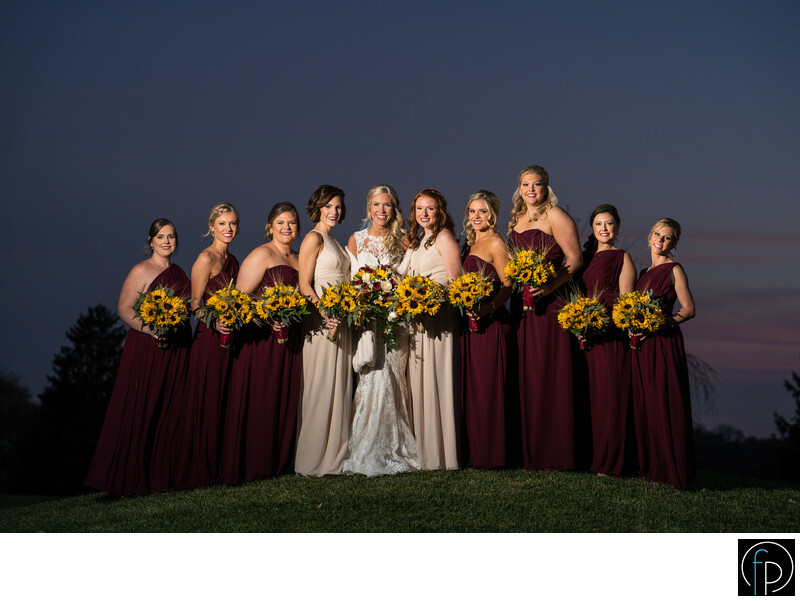 The simple sunset plays on the burgundy bridesmaids' dresses and compliments the pop of yellow from the sunflowers.